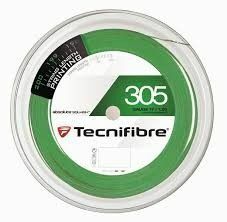 Tecnifbre's 305 1.20mm Green squash string is legendary. 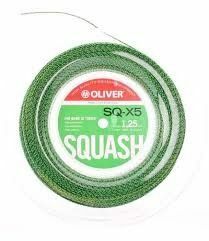 It is one of the most commonly used strings due to its great performance and soft feel. Developed as a replacement for the 305+. 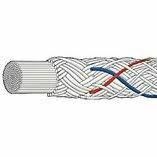 Dynamic power is supplied by the combination of Elastyl fibers and PU HDX Inside. SPL2 Inside technological innovation enhances sliding of strings for maximum cut. 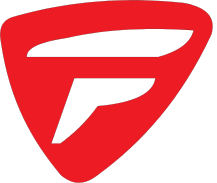 Used by player Mohamed El Shorbagy. 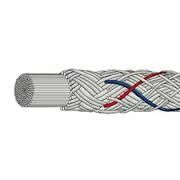 A premium multifilament string, X-One Biphase delivers superb comfort, feel and a crisp response. A good choice for players seeking an arm-friendly string without sacrificing power. 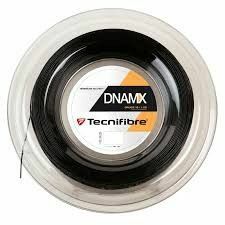 Ashaway Powernick 18 has tremendous power from dynamic stiffness of Zyex monofilaments and has excellent tension stability at all tensions. 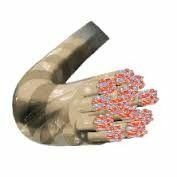 The 18 gauge offers optimum combination of power and durability. 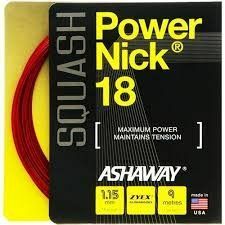 Ashaway has introduced a heavier gauge addition to its popular Ultranick series of squash strings. 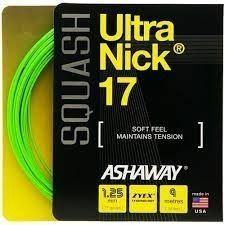 The New Ashaway Ultranick 17 squash string utilizes the same Zyex multifilament fibre core as its 18 gauge sibling to provide increased power and resilience, and reduced tension loss. 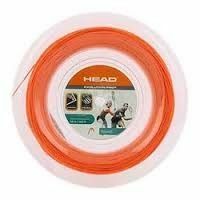 The thicker 17 gauge with its braided surface maximizes durability while still providing better touch and ball control. 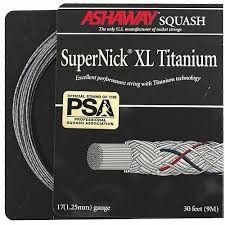 Ashaway Supernick XL squash string is a highly durable multifilament string offering great power and feel. 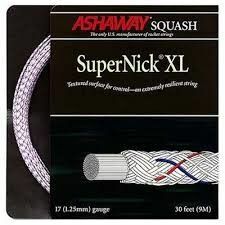 Ashaway Supernick XL squash string range is a highly durable multifilament string offering great power and feel. 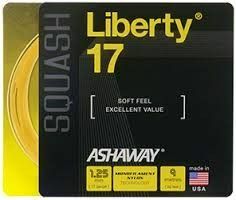 The Ashaway Liberty 17 string is made from a monofilament nylon contruction which is extremely durable. It also has a wear layer which helps to resist notching and can increase string life. Head Evolution Pro squash gives maximum control with increased touch. 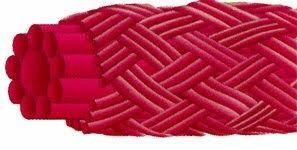 Braided synthetic string for the perfect combination of playability and durability. 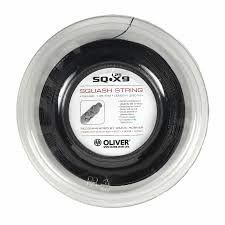 For squash players looking for the best in control and maximum power in their strings, the Solinco Dragon Eye squash string is the right choice. 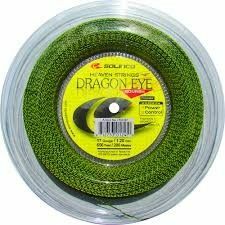 Players can expect high level performance polyester string with a multifilament core that optimizes feel and provides explosive power in their shots. 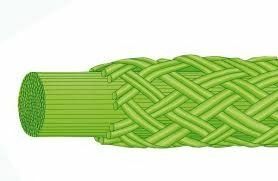 Ultimate playability and durability are other key features of this premium string.